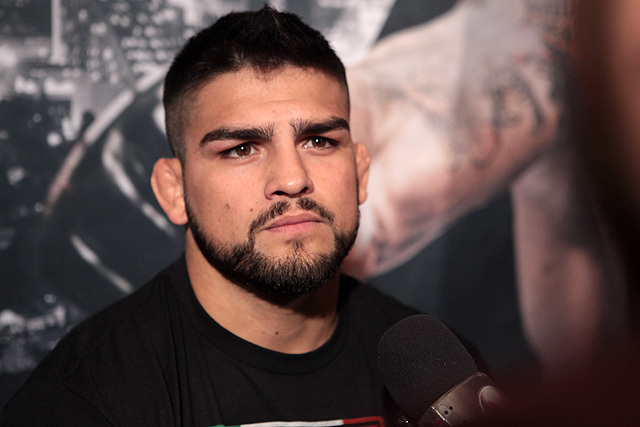 The world was introduced to Kelvin Gastelum in season 17 of The Ultimate Fighter when he was the overwhelming underdog and went on to win the show. 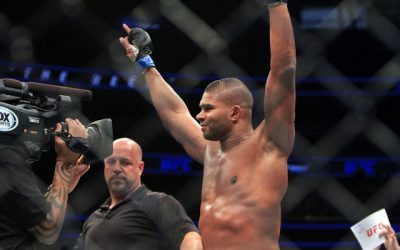 Not only did he win a tournament no one thought he had a chance to win, his final fight to win it all was against Uriah Hall, a fighter who at the time everyone, including UFC President Dana White, was crowning as the next Anderson Silva. Adding to those accolades is the fact Gastelum won the season that consisted of middleweights. It was clear to anyone watching, however, that Gastelum did not belong in the weight class. Shortly after winning the reality-series competition, Gastelum dropped to welterweight where he made an impressive debut against Brian Melancon in August 2013. 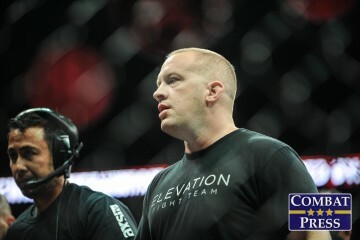 His performance had many people touting him as the next big thing at welterweight, and he followed the win up with a split decision victory against the always-tough veteran Rick Story, a win over Nicholas Musoke and a first-round submission over perennial top contender Jake Ellenberger. Unfortunately for Gastelum, a look at his record doesn’t tell the entire story. 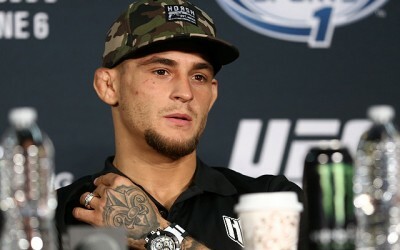 Other than his first trip down to welterweight, where he used diet guru Mike Dolce, Gastelum has struggled to make weight. 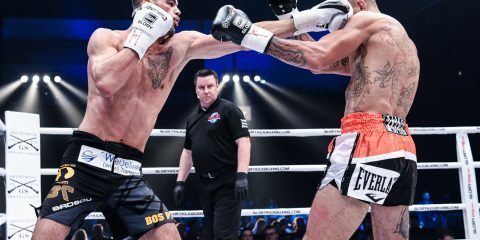 He initially missed the mark against Story before making it on his second attempt, and he failed to make the 170-pound limit for his UFC Fight Night clash against Musoke. 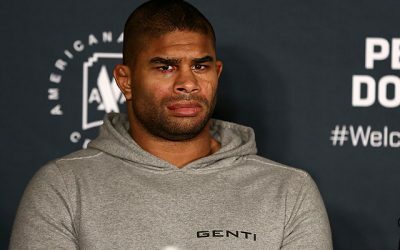 All these trials and tribulations accumulated until UFC 183, where he missed weight by almost nine pounds for what was arguably the biggest fight of his career against Tyron Woodley. 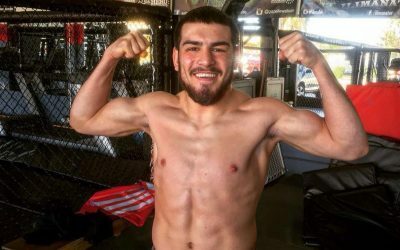 Afterward, Dana White proclaimed Gastelum will never have weight issues again, because the Yuma, Ariz., native will have to move up to middleweight. Up to middleweight Gastelum went. 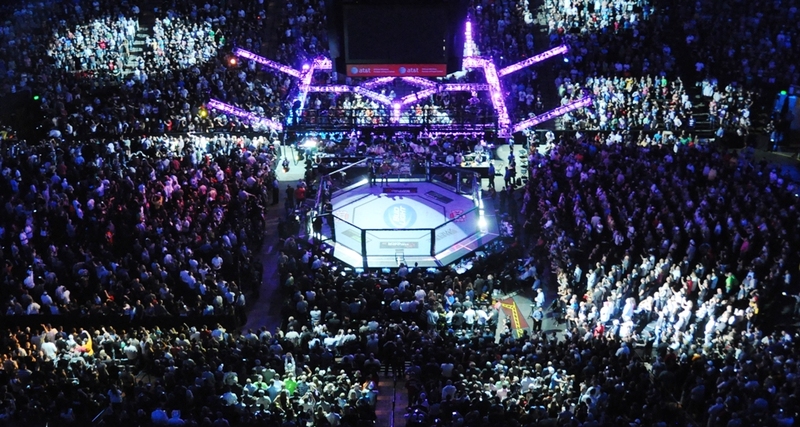 He took on longtime veteran Nate Marquardt in Mexico City. Though Gastelum looked very impressive in the fight, so much so that Marquardt’s corner essentially threw in the towel between rounds one and two, he was insistent on going back to welterweight, where we can all agree he belongs if he can actually put in the time and make the weight safely. Like he has done so many times, Dana White changed his tune on Gastelum fighting at 170 pounds and actually gave the TUF winner a fight against the ultra-popular Matt Brown at welterweight. Now that Gastelum has convinced the boss to allow him back to welterweight, will he make it worth our while this time? 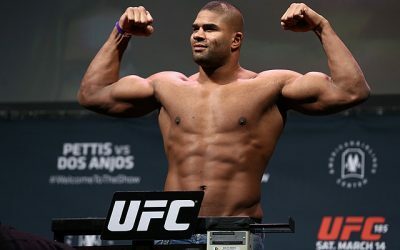 Many MMA pundits were really excited about the now 23-year-old when he exploded onto the scene, only to be let down by his inability to make weight. It’s especially disappointing after we saw him make weight and look very sharp in his welterweight debut before everything took a turn for the worse. Well, get ready welterweights, because Gastelum is now here to stay as a top contender for many years to come at 170 pounds. There haven’t been many cases where a fighter struggles to make weight and then gets it under control. 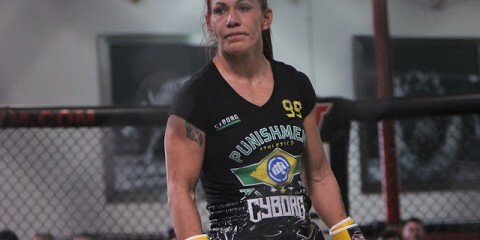 Most of the time that fighter ends up moving up for good and talks about how it was the best decision of their career. Gastelum is different. He clearly has the body of a welterweight and has looked mighty good and healthy at that weight before he tried to make the drop on his own, without the help of a dietician. Another aspect is his age. Gastelum is so young in this sport that he has tons of room for growth, and that growth also includes proper weight-cutting. When Gastelum first dropped to welterweight, he did so under the tutelage of the aforementioned Dolce. After the initial drop, Gastelum stopped working with Dolce because, according to Gastelum, Dolce was too expensive. Instead, Gastelum decided to do the cut on his own. Obviously, that did not turn out so well. Gastelum struggled to make weight each time out after leaving Dolce’s supervision. Now reports have come out saying that the UFC is actually paying for Gastelum’s nutritionist. He seems to be taking the move back down to welterweight very seriously, too. 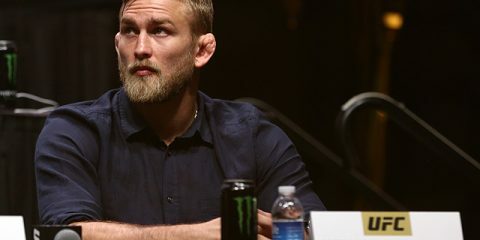 It always appeared from the outside that Gastelum needs someone to tell him what to eat and what not to eat, and this is a way of getting that guidance he so desperately seems to need. As a very young man in the sport, he has grown over the years and is poised to make a run in 2015 and early 2016. Learning from the past is something almost every human being encounters in their lives, and Gastelum will not be any different. At this point, he should understand where he stands in the pack and how much money he could lose should he not make welterweight. The 2015 version of Kelvin Gastelum will take no prisoners. With the cost of his nutritionist lifted off his shoulders, he can focus on what he does best, which is beating people up in the cage. 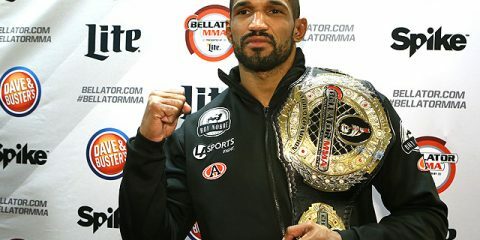 The question has never been about whether can he compete with the top of the welterweight division, but whether he can make the welterweight limit. His past has shown us that, under the right circumstances in which he now finds himself in once again, Gastelum can make the cut to 170 pounds and look damn good doing it. With all his ducks seemingly in a row, Gastelum will become a household name at welterweight in the very near future.